​HOW DID HE CATCH THIS? ​While Trevor Lawrence has gotten tons of love for being the top freshman in the country, the Tigers have two baby-faced superstars. 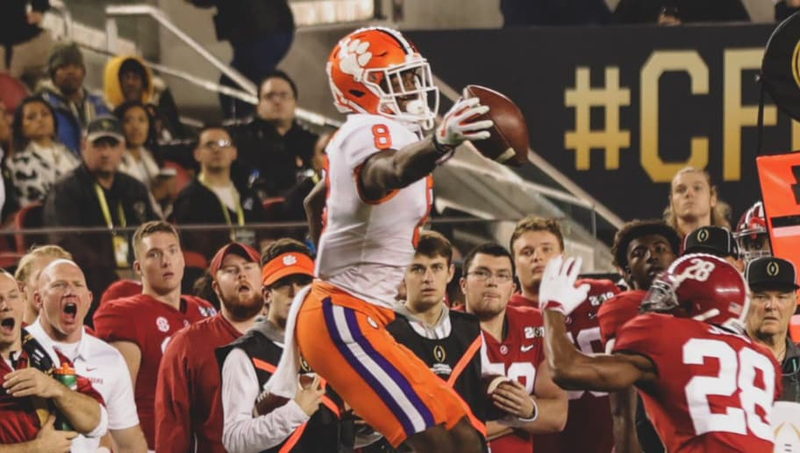 Frosh wide receiver Justyn Ross is a machine, and he just hauled in a one-handed catch Odell Beckham Jr. is undoubtedly proud of. That's a grown-man catch right there from Ross. Previously one of the top-ranked recruits out of Alabama, Ross spurned the Crimson Tide to sign with Clemson. Now, he's breaking Bama hearts, as the Tigers are ​running away with the National Championship.